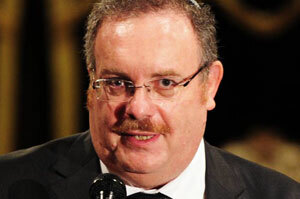 Rabbi Professor Daniel Hershkowitz is an Israeli politician, mathematician and rabbi. In 2009 he was elected to the Knesset as the leader of The Jewish Home, and was appointed Minister of Science and Technology. Hershkowitz serves as a Professor of mathematics at the Technion – Israel Institute of Technology, and is the rabbi of the Ahuza neighborhood of Haifa. Herskowitz was President of the International Linear Algebra Society (2002-2008), Professor of Mathematics at the University of Wisconsin–Madison, and has published over 80 mathematics articles in academic journals. He earned the Landau Research Prize in Mathematics (1982); the New England Academic Award for Excellence in Research (1990); the Technion’s Award for Excellence in Teaching (1990); and the Henri Gutwirth Award for Promotion of Research (1991). Herskowitz and his wife Shimona, the principal of a special education high school, have five children. Jealousy is the driving force in our world. Rabbi Dr. Daniel Hershkowitz posits that jealousy provides a natural incentive to succeed.